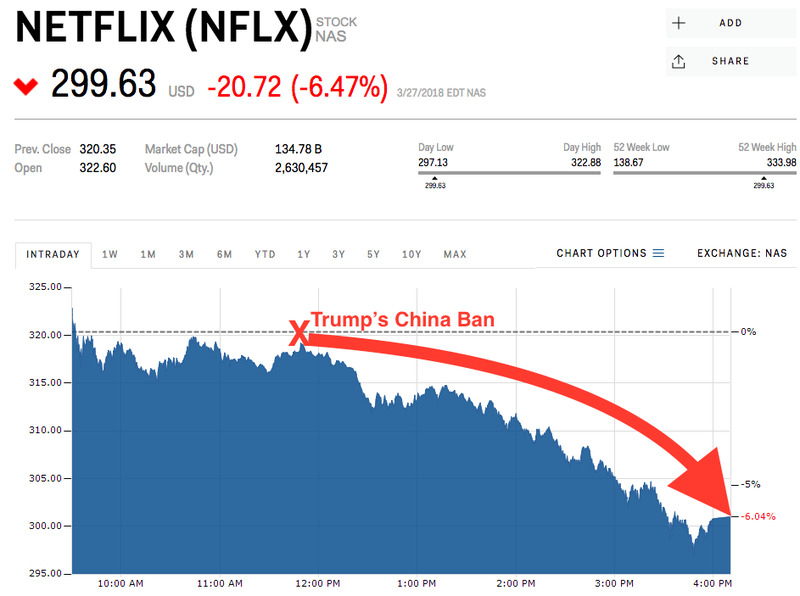 Shares of Netflix tumbled nearly 7% Tuesday, dragged down after a Bloomberg report said President Donald Trump’s was moving to block China from investing in certain types of US tech companies. 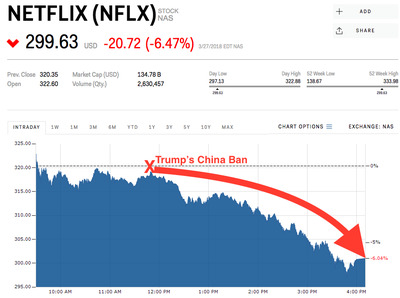 Tuesday’s slide dropped Netflix shares to their lowest close since the beginning of March. Netflix’s drop nearly doubled the loss of the tech-heavy Nasdaq 100, which lost 3.3%. Shares of Netflix are still up about 56% this year.